Honestly, I'm not a huge fan of crowds or crowded places. Hence, it totally explains my disdain for places such as Crystal Mall or any T&T parking lot. 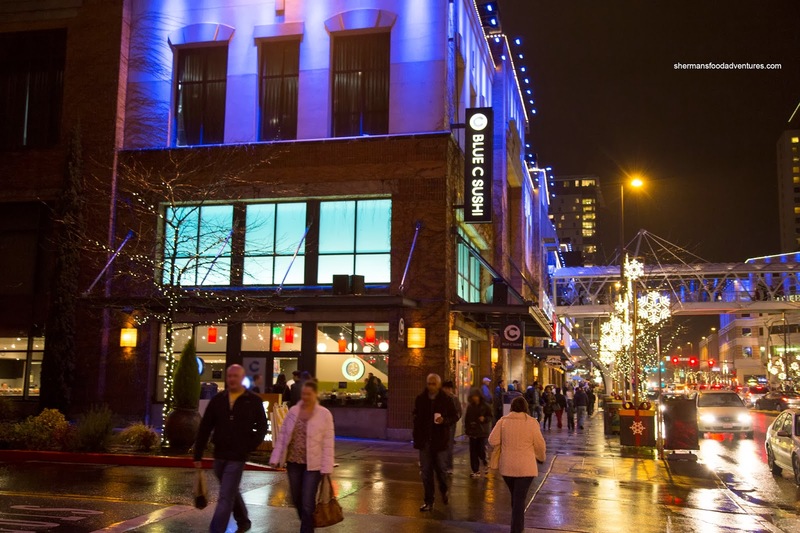 So when Viv suggested that we go visit Snowflake Lane in Downtown Bellevue during the Christmas break, I was a bit hesitant. Fine, I did it for the kids, but figured it would be a great idea to arrive early for some food first. However, many of the surrounding restaurants tend to be either mediocre and/or expensive. 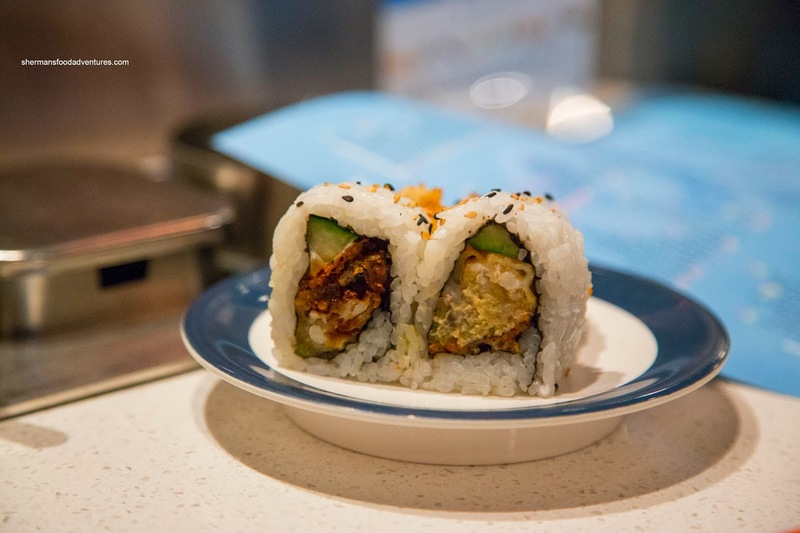 Whatever, convenience mattered the most and we settled on Blue C Sushi. 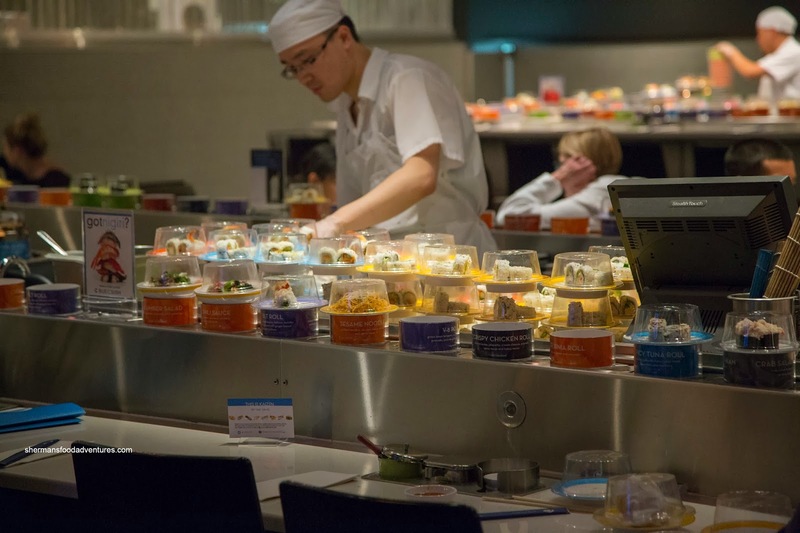 Similar to the nearby locations of Sushi Land and Sushi Maru, Blue C employs conveyor belts, that circle the restaurant, to transport food. One merely picks up a colored plate (each with a different price point) to serve themselves. For the kids, this can be an incredible novelty despite not wanting to eat half of the items coming around. We did end up picking some items that we knew they would eat including the Fried Sushi Rice. 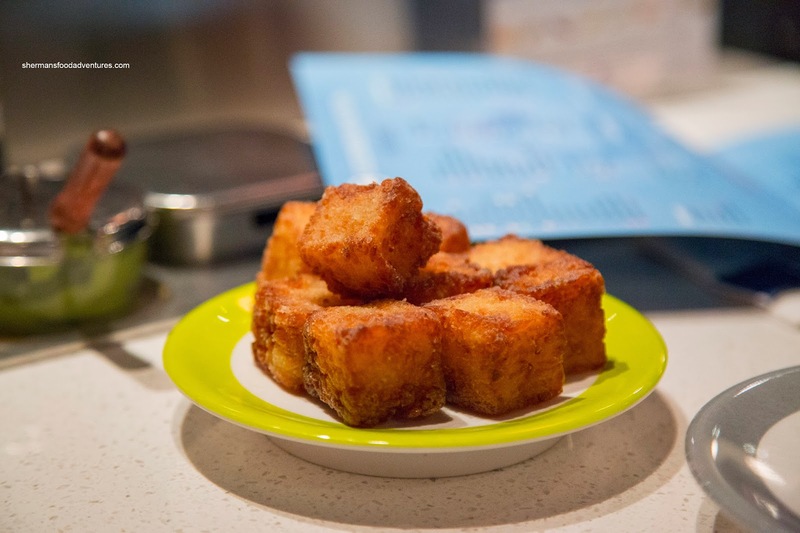 Well, consistent with the name of the dish, it was cubes of sushi rice dumped into a deep fryer. With that being said, they were alright with a hard crunchy exterior and chewy, slightly vinegary rice inside. 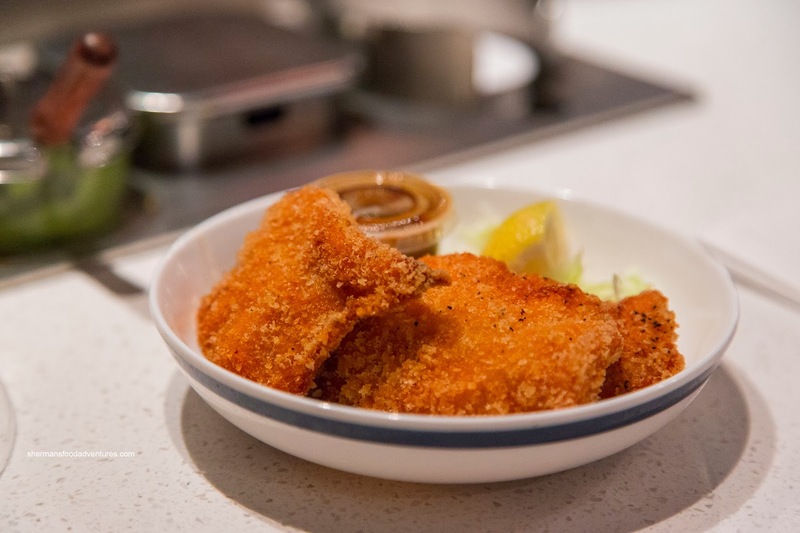 We also got the Chicken Katsu which was also very crunchy on the outside. As for the white meat, it was not exactly moist, yet was not overly dry either. There wasn't a lot of flavor on its own, but with the accompanying sauce helped matters. As for Viv and I, we were somewhat uninspired with the selection coming around. 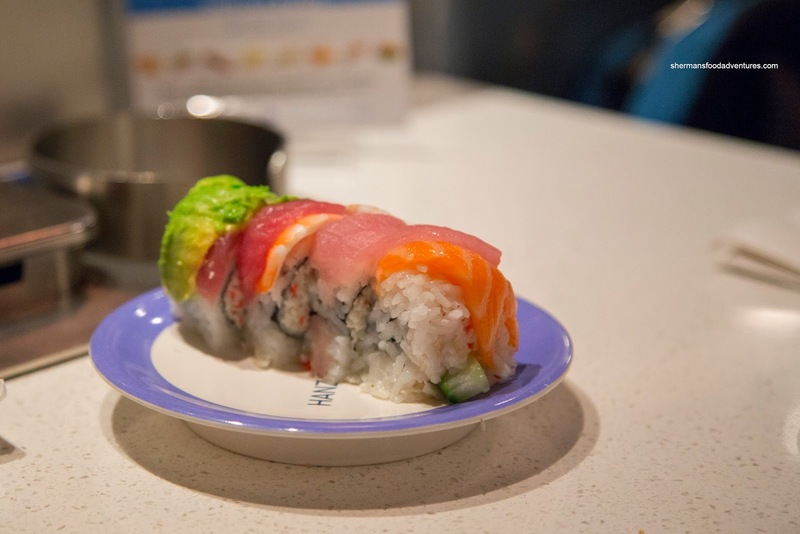 But since we were hungry we got some maki sushi starting with the Rainbow Roll. This consisted of a California roll topped with slices of salmon, tuna, ebi, red tuna and avocado. As evidenced in the picture, the roll was haphazardly constructed. I found the rice to be on the drier side and very mild in flavor. Next, we tried the Tuna BLT featuring bacon, lettuce, tomato and avocado topped with seared albacore tuna and ginger-bacon marmalade. Despite the flavorful sounding description, the roll was not as tasty as it would suggest. The dry rice didn't help matters either. 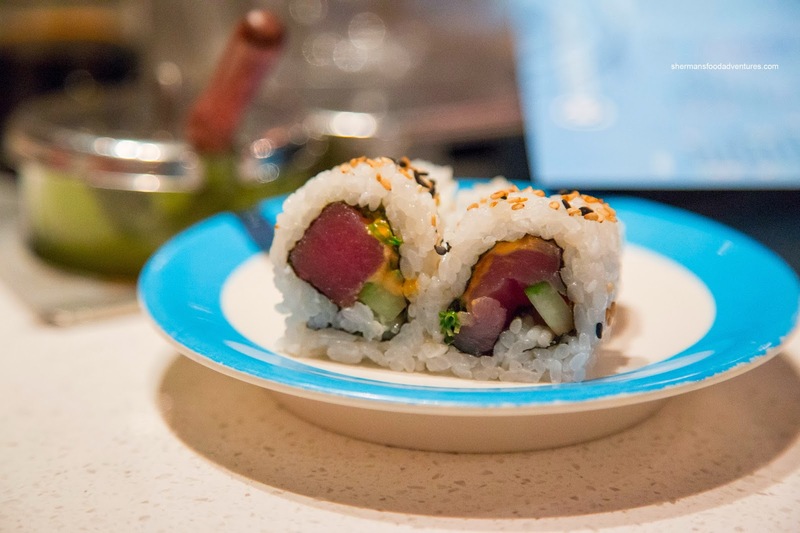 Continuing on, we had the Spicy Tuna Roll with Tahitian yellowfin tuna, spicy mayo, cucumber and scallions. This particularly roll wasn't that spicy despite its name. As much as the sushi rice and construction of the rolls were mediocre, the actual fish itself was okay in most applications. It wasn't super flavorful, but at the very least, it wasn't fishy. However, this didn't apply to the Salmon Nigiri as I found it far too soft and not particularly appealing. Furthermore, it was sliced rather thin (but in this case, I didn't want much more, so it was a good thing). To be fair, the salmon in the rainbow roll was fine, so it was possibly just bad luck or it was sitting around too long. 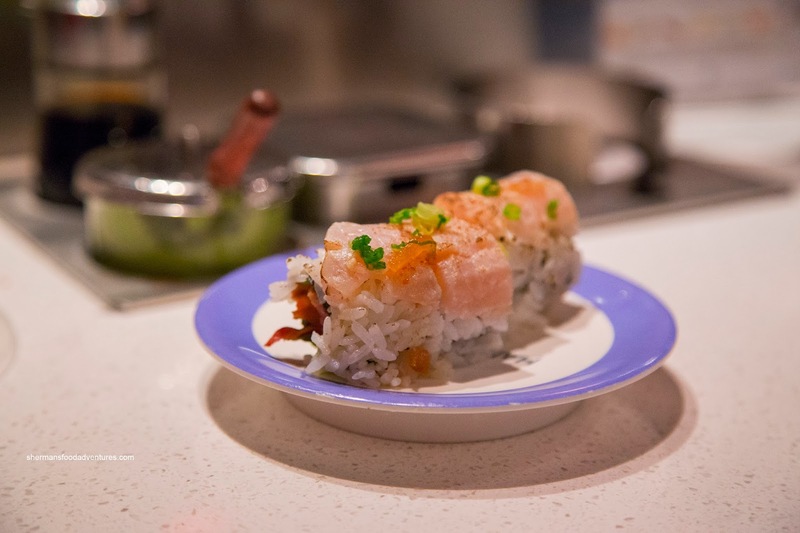 On the other hand, I did like the Spider Roll as it was packed with plenty of soft-shelled crab. I found it crunchy and naturally, soft with the body portion of the crab. Not even the dry rice bothered me much with this roll. 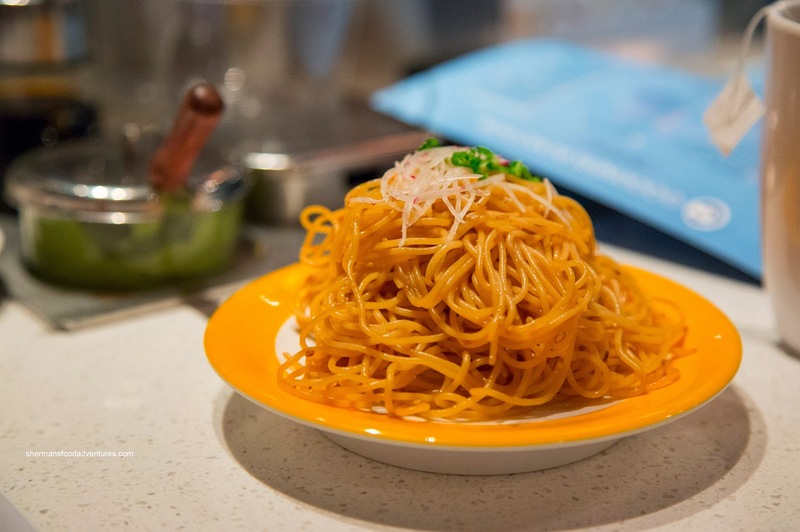 Lastly, we tried the Sesame Noodles which were served cold. As the name suggested, it was tossed in sesame oil. The noodles were toothsome and it did taste pretty good. In actuality, we had a few more items, but there is no real reason to talk about them as there was nothing exciting. Personally, I would head to Sushi Maru instead because you would be getting roughly the same quality of food for less. 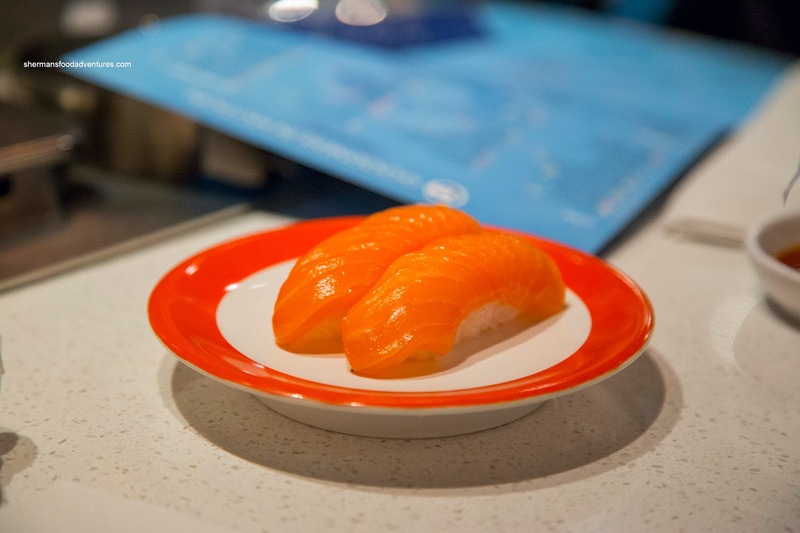 I have to agree with you there, Blue C is appealing for those wanting of kaiten sushi. They do have a pretty diverse liquor list imo since they had the Ozeki One Cup sake. I went there during the convention season and while I liked the experience, but the sushi was you said mediocre.